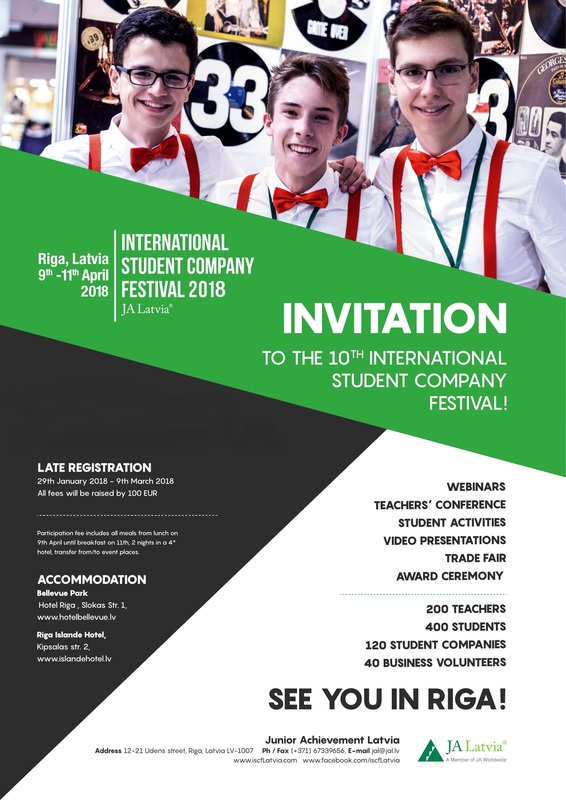 JA Latvia invites you to the 10th Anniversary International Student Company Festival (ISCF) in Riga, Latvia which is going to be held from 9th to 11th of April. We are delighted that more than 400 participants have already applied for the 10th anniversary event representing Student Companies from Austria, Estonia, Sweden, the Netherlands, Latvia, Turkey, Finland, Israel, Norway, Denmark, Russia and Italy. The Late registration has begun - it's your last chance to apply for the International Student Company Festival 2018! You can find the registration form* HERE. Registration is open till 9th of March.